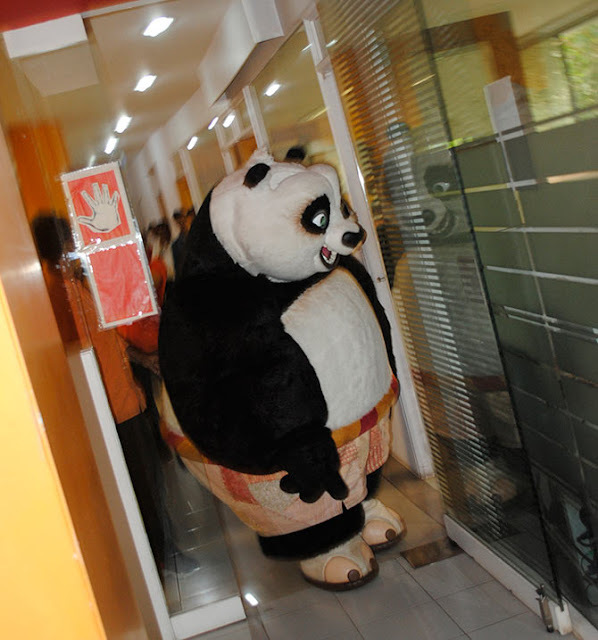 The Rediff workplaces had an irregular visitor on Wednesday, March 30! It was Kung Fu Panda's Po, who was good to go to blend with the staff and posture for pictures. 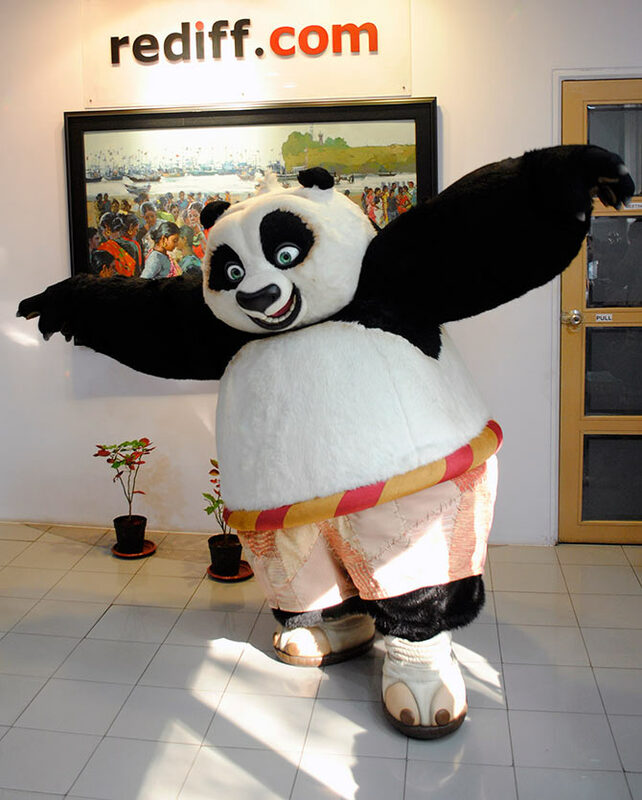 Why, he even taught us some Kung Fu moves! The third portion of Kung Fu Panda will discharge on April 1, yet before that, here's a glance at what Po did in our office.